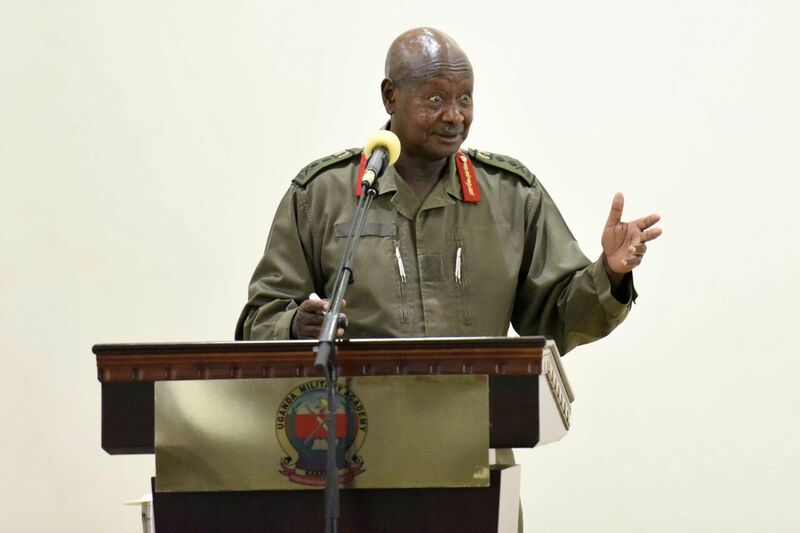 ENTEBBE – President Museveni has promoted and transferred senior army officers. This happened in the latest changes announced on Sunday afternoon. The army has confirmed that Maj. Gen. Nakibus Lakara has been transferred from Uganda Rapid Deployment Capability Centre (URDCC) to AMISOM as deputy commander operations. Maj Gen Fred Ociti Tolit has been sent to South Africa from Burundi still as advisor on Defence. Brig Christopher Bossa has been transferred from college of logistics to commandant Bihanga Training Centre. Brig Dominic Twesigimwe has been transferred from CIRMIS to Defence Attaché in South Sudan in the new shakeup. Brig Paul Lokech is shifted from AMISOM to URDCC while Brig Emanuel Kanyesigye former fourth division Commander in Gulu has been sent to Burundi as Defence Attaché. Brig James Nambale has been transferred from camp commandant to Defence Attaché in Russia while Brig Baguma Bagume has been sniffed from National Defence College in India to CRIMIS. The president has also moved Brig Metland Bitumbika from Chief of Pensions and Gratuity to Military Advisor at UN Mission. Col. Senkumba Ssebugwawo was transferred from Land Forces Headquarters to Director Personal while Tolit Bonny Bamwisiki was moved from First Division Headquarters to Commander fourth division in Gulu. Col Bob Ojiki transferred from Kimaka to Commandant Junior Staff College, Col Michael Kibuye transferred from Chieftaincy of Military Intelligence (CMI) headquarters to Adjutant Comp Commandant while Maj David Watasa has been moved from Military Police to Chief instructor-Junior Command and Staff College.